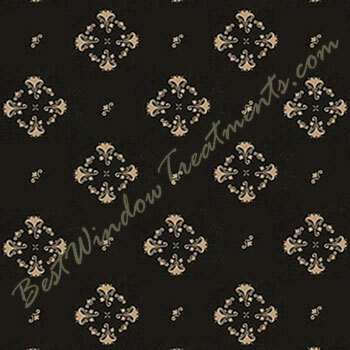 Claydon Black & Nutmeg Chair Pad with its simple but intricate design laid out on a plush black fabric. Handcrafted with care, this chair pad is made with high quality 100% cotton fabric and is a plush 3 inches thick. 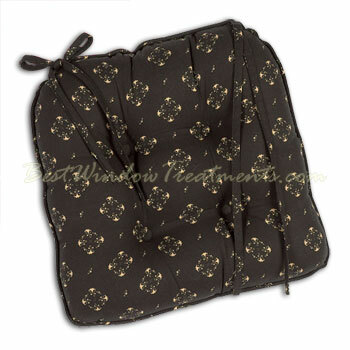 Complete accessories available - fishtail swag, panels, lampshade,chair pads, napkins, placemat, valance, table runner. See related products below.